This began the prep work. Removing the old peeling clear coat is a real job. When I retired a couple of years ago I downsized some of the luxury items in my life. One was my F250 diesel four wheel drive off road mega nice pickup. 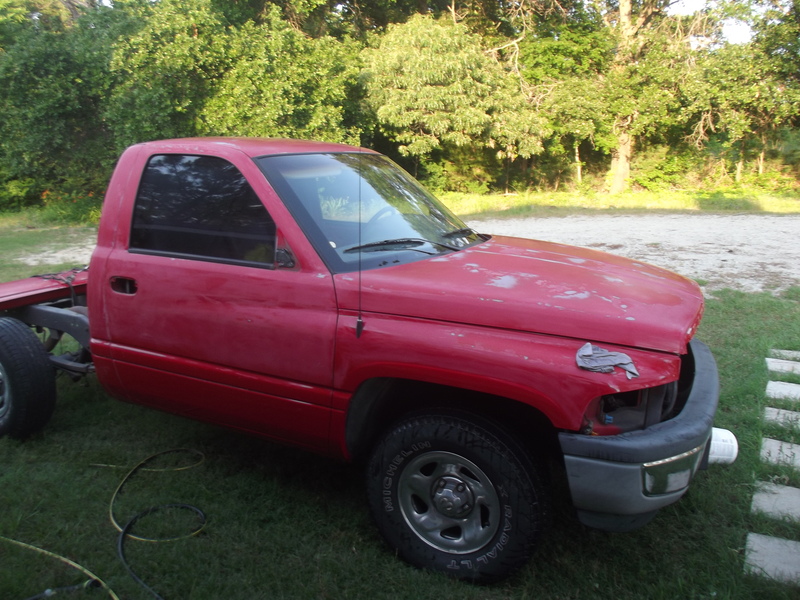 I still needed a pickup, so I bought a low mileage 2001 Dodge 1500 with the customary Chrysler product sun cracked dash and peeling clear coat. When I bought the truck I though I could always get a new paint job, pop in a new dash and replace the bench seat with some junk yard upper end bucket seats. In my mind a new paint job would be the most noticeable upgrade. 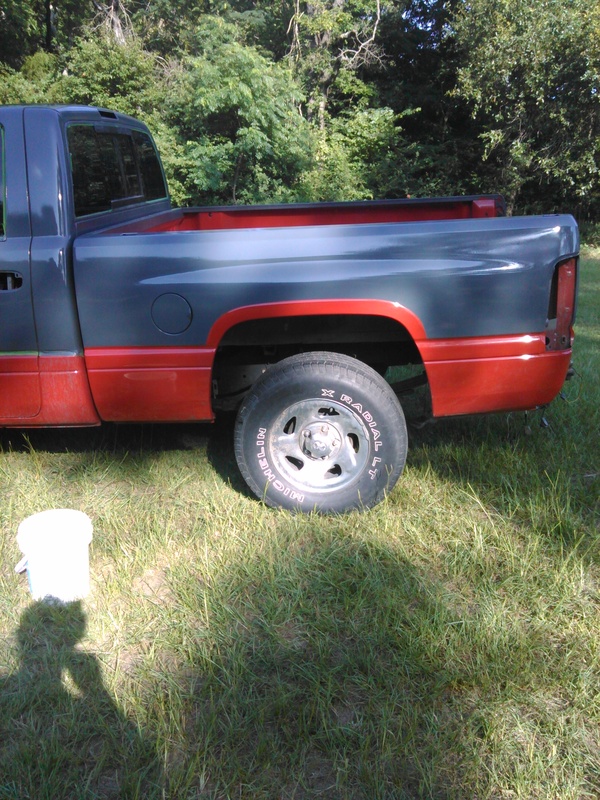 I was soon to find out that some paint jobs cost as much as I paid for the truck to start with. But mid-range paint jobs were to cost between $900 and $1200 dollars. Still not where I wanted to be. A couple of years ago while tooling around on You Tube I remembered seeing a video of someone painting their car with a paint roller. Well of course that’s absurd. But I though I would research some alternatives. Turns out there are a lot of people whom have painted their car with a paint roller. The Mopart forum, has the longest thread on the subject I have seen. In fact, has the longest thread on any subject I have seen. It spans several years with thousands of post. The admin broke this thread into three threads, this link is the last thread. You can read back as far as you like for information. Glossy bed and it has not been sanded or buffed yet. Many have claimed to paint their car for $50, and there are many pictures in the mopart thread showing fine results. Being retired now, I have more time than money so I decided to try this on my truck. I’ve little to loose. 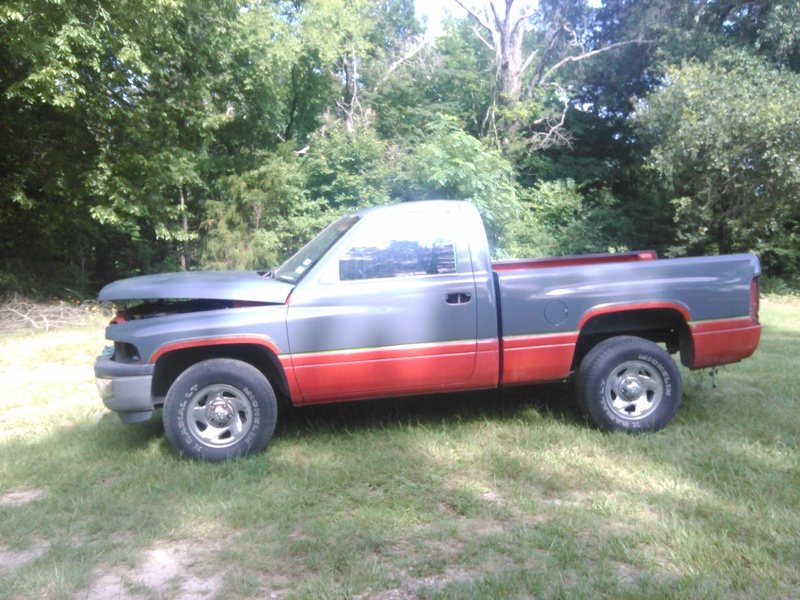 I though I would allow myself $100 to paint my truck. My new custom paint design. The short version of this process is to prep you vehicle for painting, roll on a diluted mixture of mineral spirits and Rustoleum oil based paint. Well, you can follow my adventure on the following page. 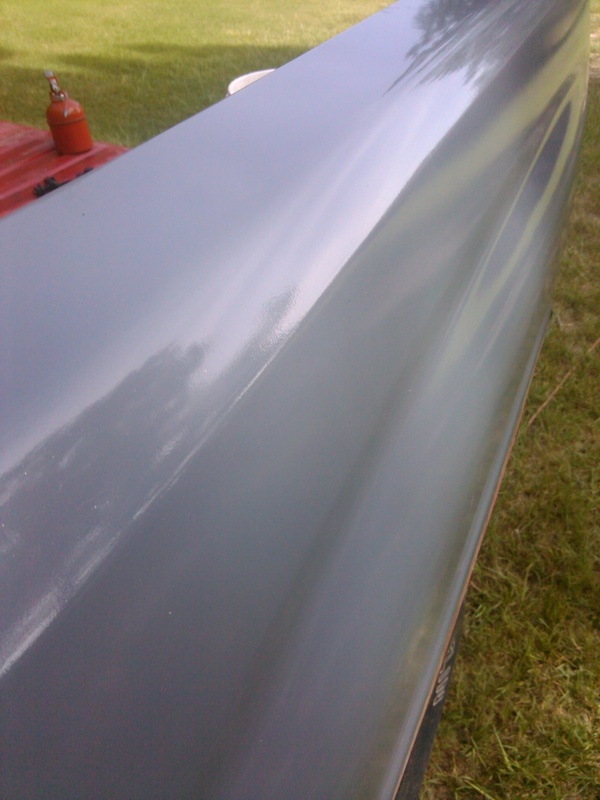 . .
A boat laminator I knew finished the exterior of his El Camino with gelcoat and webbing. It was strange, but what-the-heck.